It has taken me a while fully to understand why the Government is determined to head for a botched Brexit, but discussions over the weekend and a review of the responses to the Booker column have brought me a close as I am going to get. This, it very much seems, is underpinning the Government's strategy on Brexit – a belief that, because we have already secured regulatory convergence, there are no more barriers to overcome and that we can continue to trade freely with our former EU partners. We thus have the same flawed premise that was perpetrated by Peter Lilley, who asserted that, "the UK starts off in full conformity with EU product regulations etc so there can be no problem agreeing 'regulatory conformity' at the point of Brexit, even if we have to agree at a later stage how to avoid divergence". According to one Booker commenter, all that needs to happen is that: "The parties agree to maintain free trade and therefore to set in place arrangements for monitoring free trade in a new relationship to complete within three years, during which trade will continue under the present rules directly related to free trade". "To enable discussion between the coffee break and lunch, an outline of stages can be agreed between heads of government while their officials can compile an annex of relevant regulations, either by specifics or category or other high level categorisation to highlight where there might be doubt". And that, we are told, "is all that is need in a treaty: starting point, an end point in broad terms, timescale, stages where necessary". As to the rest, that is "for subsidiary agreement by MoU or whatever. The most important thing is to move quickly to a binding agreement to terminate the current treaties and move forward to an agreed destination". I include this text because it so much accords with the Government line, and this air of unreality that everything will be alright on the night. Mrs May can jet into Brussels, have breakfast in the Ambassador's rather agreeable residence and then sweep into the "egg" to agree on the heads of a free trade agreement, and be on her way back after lunch. What has completely escaped the attention of Ministers (and most of the commentariat) is that, by leaving the EU, we assume the status of a third country. And this, as I have pointed out, is not something the EU does to us. We ourselves voluntarily place ourselves in this category. It is our choice, something we have actively sought. We are not then in a position of – as David Davis argues – of "ensuring new barriers do not arise". It is a question of dealing with all those (considerable) barriers that already exist. And this is the point: the EU is not going to raise new barriers. They already exist. I've used this analogy before, but bear with me. 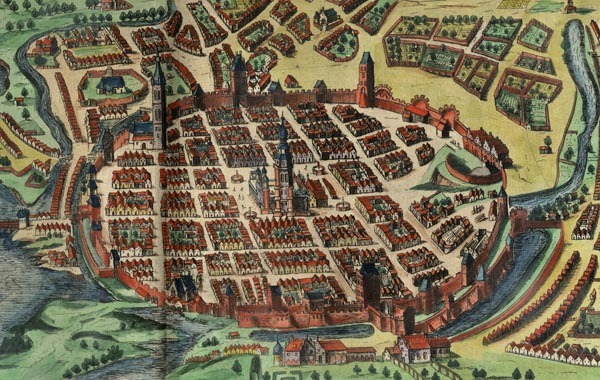 You must imagine a medieval walled city, inside which the traders happily do business – with the public and between themselves – secure within the fortifications. When a trader (unhappy with the rules and regulations) decides to move his stall outside the walls, he cannot then complain that he is no longer able to trade freely with the people still inside. This stands for the EU, where there are often three layers of protection. First, an individual country must be approved and put on a list of those countries which are permitted to export; then individual businesses (or "establishments") must be approved, and then individual consignments must be checked and cleared, before they are allowed through the gateway. As time has progressed, many of the third countries have done deals with the European Union, to expedite the passage of goods into the "walled city". The walls remain – trade is eased because special arrangements are made to get the goods in. With the UK newly assuming third country status though, it is starting from scratch. From the EU's perspective, it is as if a brand new country had suddenly dropped in from outer space and landed 22 miles off the French coast. Before Brexit, there was no third country called the United Kingdom. On Brexit day, there will be an entirely new addition to its list. That this newly created third country will try to conclude a free trade agreement with its neighbours is only to be expected. But with or without such an agreement, the UK will still be a third country. As does South Korea, it will still have to appoint "only representatives" to register its chemicals under REACH, and its slaughterhouses will have to be in the EU's list of approved establishments before it can export meat to the Member States. And nor can it be any different. It the EU makes special concessions to the UK, then all the other third countries (and the EU-based importers of their products) will arise in protest. They will demand the same deal, failing which either the Member States or the Commission could find themselves in front of the ECJ. Since the UK hasn't actually just arrived from outer space though (even if there may be questions about some of our politicians), there is the possibility of making a transitional agreement, to ease the passage of the UK from full member of the EU to its new, third country status. And here, albeit unwittingly, Davis has got it right. We are in a "unique position". Never before has a country broken away from the EU and thus scrapped all the existing agreements, having to assume as of new the status of a third country with no legacy agreement to carry over. We are not, therefore, "managing the continued cooperation of the UK and the EU". The focus will be about adjusting to our new status as a third country and making all the necessary arrangements which enable the UK to continue exporting goods (and services) to the EU. And since the rules for different products and sectors are different, and each approval has to be made on a case-by-case basis, the UK is going to have to have to lodge multiple applications, and then sit down with Commission officials to work out how best to proceed. There can be no short cuts. Britannia cannot waive the rules. Dealing with this huge amount of detail is not going to be quick or easy. Other third countries have taken decades to build up their portfolios of agreements which enable them to trade more or less freely. The UK will have to do the same. … that we will be able to negotiate a full deal within two years of triggering article 50 appears deluded, given that free-trade agreements typically take far longer to negotiate and ratify, even when they do not include the fiendishly complicated negotiations around services that she wants included in any final deal. In fact, we were ahead of the game, calling the White Paper an act of delusion, not least for the failure to acknowledge the UK's new status as a third country. But the government must get a grip. The very last thing we need on Brexit day is for a group of ministers to find themselves huddled outside the walls of the city wondering what to do next.